We treat our customers with the respect and dignity they deserve just as we would our own family. When you call Bio SoCal the owner, Alan Cohen, will answer your call 24/7/365 to discuss your unique situation. Unlike our competitors you will never get a call center in another state or have a random unknown subcontractor dispatched to your house. We are selective in our hiring and ensure the job is done right . We show up on time…every time. Always discrete and confidential in unmarked vehicles, we strive to make a difference by truly helping people in their greatest time of despair. Professional and compassionate we clean, sanitize and prepare homes and businesses to return to how it was before an unexpected or traumatic event. To put it simply…we discreetly clean and remove what most companies won’t or can’t. Bio SoCal is fully licensed by the California Department of Public Health and services all cities in LA, Ventura, Orange, Riverside, San Bernardino, San Diego, Santa Barbara, & Kern Counties. Available 24 hours a day 7 days a week and always when you need us. Bio SoCal works directly with families, friends and businesses as well as crisis intervention teams, human services, cities, police, fire, emergency services personnel, victim services groups, apartment and hotel managers, hoarding task forces, insurance agents and adjusters, big and small companies, psychologists, professional conservators, realtors, property managers, and public venues to clean and decontaminate any biohazard to restore property and ensure health and safety. Bio SoCal is one of only a few companies that has the required Trauma Scene Waste Management Practitioners License (TSW#16 & 493) issued by the California Department of Public Health. Bio SoCal is fully insured and bonded, and has a perfect record with not a single citation or fine in all of our years in the industry. Due to our impeccable track record, Bio SoCal is a FEMA registered vendor and part of the FEMA national disaster response team and is contracted by many cities and counties. The California Department of Public Health has established strict guidelines for the remediation, cleanup, transportation, and disposal of bio-hazardous waste. California Health and Safety Code chapter 9.5 requires any person or company who undertakes as a commercial activity the removal of human blood, human body fluids, and other associated residues from the scene of a serious human injury, illness, or death have a Trauma Scene Waste Management Practitioner License. Bio SoCal is one of a select few that has this license. Bio SoCal is the leading Hoarding Remediation company in Southern California because in almost every case of hoarding, biohazards exist whether its mold under piles of clothing and paper, rodents or droppings that can carry the hantavirus, roaches, bed bugs, feces, urine, vomit or deeply embedded filth. In most cases professional organizers and general household cleaners will not venture into homes that have excessive hoarding or biohazards and that’s when you call Bio SoCal for help. 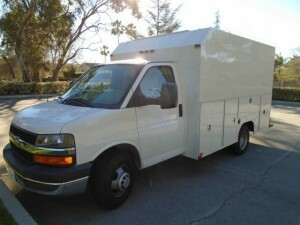 Bio SoCal’s hoarding removal and remediation across Southern California is referred by many city code enforcement officers, leading professional organizers, senior care professionals, human and social service workers, estate attorney’s, conservators, and most importantly the clients we have done work for. Bio SoCal truly respects and never judges our clients and recognizes the difficulty and often times embarrassment that comes with a hoarding situation. Bio SoCal has a genuine desire to help our clients either get their lives back on track with a fresh start or help those who discover s family member’s hoarded house after their death or hospitalization. We understand that hoarding is a deeply emotional and challenging time in the lives of all parties involved, and many times involved recovering valuables and family heirlooms. In many cases, the family members and loved ones of a hoarder often feel helpless and don’t know how or where to even begin to look for help. Bio SoCal will recover and safeguard the valuables and discard of all disposable debris in a safe and comforting manner. Give us a call today so we can help you or your family member get a fresh healthy start or simply reclaim the property. Bio SoCal gives you the peace of mind knowing that a professional and experienced crew is there to help. The California Department of Transportation – Caltrans – and countless counties including Orange County and cities such as Beverly Hills, Culver City, Pasadena, Artesia and The Housing Authority of the City of Los Angeles have contracted with and trust Bio SoCal for biohazard cleanup and homeless encampment remediation and decontamination across the seven counties we serve. We are proud to have been selected to serve these and other Southern California municipalities, private businesses and residents.